All arts and culture groups, individuals and practitioners in the arts sector in the Free State are eligible to apply for grants from the PACC and funding is allocated based on a certain criteria. 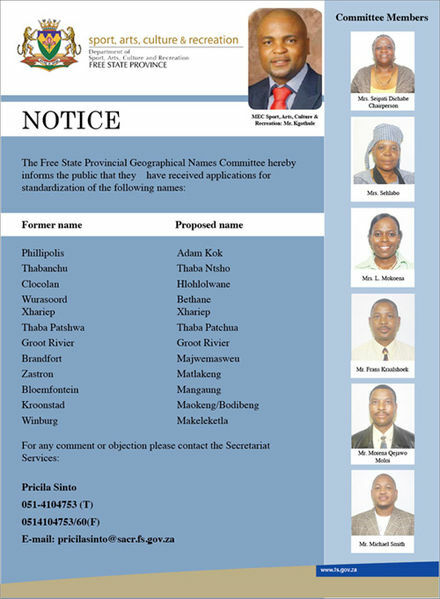 A PGNC is responsible for advising local authorities and working with them in ensuring that they apply the principles of the SAGNC to the names under their jurisdiction. 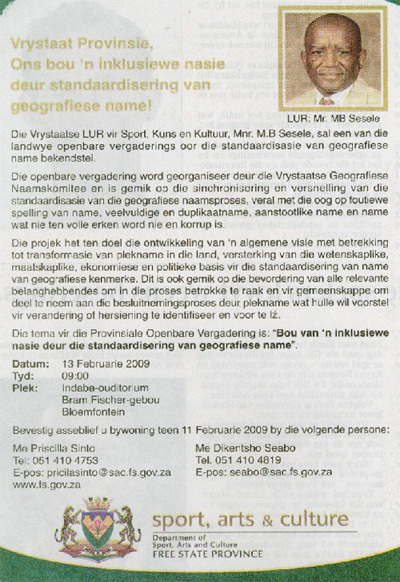 A PGNC makes recommendations to the SAGNC on the names of geographical features that fall within its provincial boundaries. It should do preparatory work for the submission of names to the SABNC and is responsible for seeing to it that local communities and other stakeholders are adequately consulted. 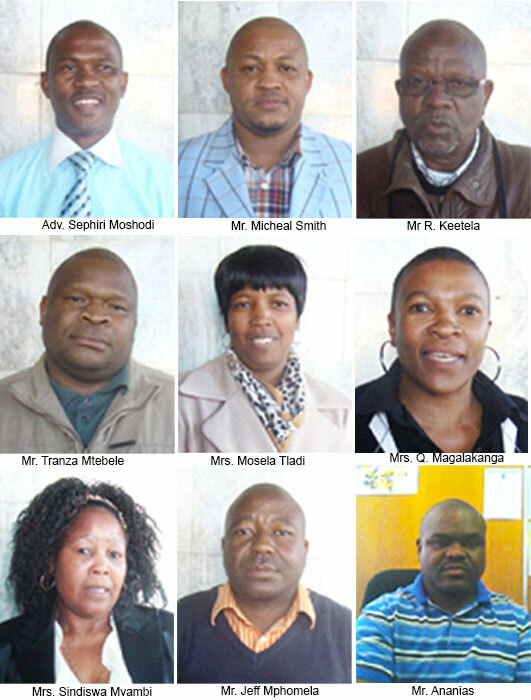 A PGNC liaises with the SAGNC on promoting research and ensuring that unrecorded names are collected.